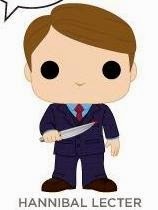 Talking Tiny Toys: NBC's Hannibal Hears My Prayers! Yes. YES. YES. The toy gods have heard my prayers and are answering in abundance! That's right! 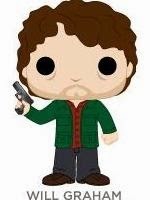 Two of my favourite things are coming together - NBC's amazingly dark, disturbing, complicated, addictive, and all around fantastic show Hannibal and Funko Pop! 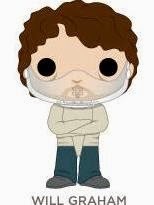 Showrunner Bryan Fuller (Pushing Daisies, Dead Like Me) announced last week via Twitter that Funko will be releasing a line of Hannibal Pop! figures, and I couldn't be happier. This Fannibal (Fan + Hannibal = Fannibal) will be wearing her flower crown (Flower + crown...you know what, let's just leave that for now...) and counting down the days until she can shell out some cash and get her mitts on these. For those of you not watching (and you should be) Hannibal is a prequel to the Thomas Harris book series. It follows special investigator Will Graham (Hugh Dancy) as he tries to solve some of the most interesting, graphic, and somehow beautiful murders ever put to screen. Psychiatrist, Hannibal Lecter (Mads Mikkelsen is brought in to help. (Spoilers: He's a cannibal.) It's dense, dreamlike and not for the squeamish. The show is crafted so well it's hard to believe this is network television. Critics love it. Still, the ratings are low and it dances close to the cancellation bubble. Let's hope merch money can keep it afloat until people realize what they're missing. 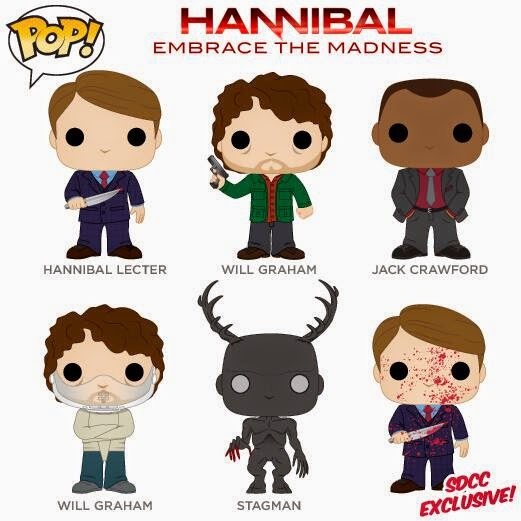 This Hannibal Pop! series focuses on three of the show's main characters. 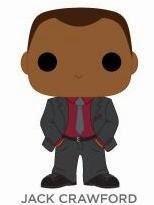 Jack Crawford (Laurence Fishburne) is the man in charge (or so he thinks) and this Funko is a pretty good representation. As head of the FBI's Behavioral Science department, he enlists the help of Will Graham to catch the worst of the worst. By the beginning of season 2, Jack may be in over his head. I love the suit design on this promo-picture. The grey suit works well with the colours of the shirt and tie. Having his hands in his pockets is a great detail. Jack could be a pretty dull figure, especially compared to Will and Hannibal, but the details could make him worth the price. I hope the actual figure keeps them. I hate buying duplicates, especially when characters I like haven't been made available yet, but I will probably have to buy both Will Grahams. They're just so much fun. The first one depicts Will as he was in Season 1. He's wearing his trademark sweater/jacket and paid button up shirt. He holds a gun, which he fires multiple times throughout the series. The second figure is based on incarcerated Season 2 Will and plays with the iconic image of Anthony Hopkins as Hannibal Lecter. I want to get him side-by-side Funko's version of Hopkins for a comparison. My favourite details are the bags under Will's eyes. Perfect characterization. There is no one more broken than Will Graham. Hannibal is dressed in one of his trademark suits. He's all class. Perfect hair and a perfectly tailored outfit. I'm a little disappointed that they didn't use one of his patterned suits for inspiration, but that's just a nitpick. Besides, that amount of pattern could overpower a toy like this. Hannibal isn't Don Cherry. The knife is a good character marker and the "Blood Spatter" SDCC Exclusive is a lot of fun. Unlike Brienne, I might actually scheme to get one of those. 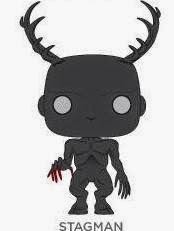 I'm not usually excited about the "other" figures (pets, monsters, etc) but I really like the Stagman (or Wendigo or swiggity swag stag...). This hallucination (or what-have-you) sets the tone of the series. The sculpt looks unique and the antlers will look really interesting on a shelf. Let's hope the black paint job doesn't hide the details too much. So there you have it. 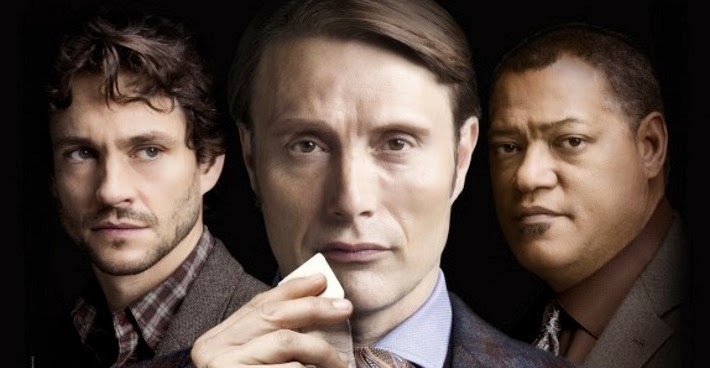 Hannibal is once again going to take my money. I can't wait. If I can write this much on just the promotional pictures, what am I going to do when I actually get to play with these? !